We all struggle to discover satisfaction and contentment in the modern world, and yet the more technology we use, the more things seem to get worse. What are we all missing? What will it take for us to find our centers? 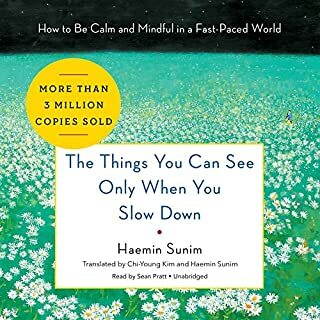 Pedram Shojai shares how the calmness of Zen masters is attainable in today's fast-paced world, and with practice you, too, can stop time, refuel, and focus on the things that really matter. 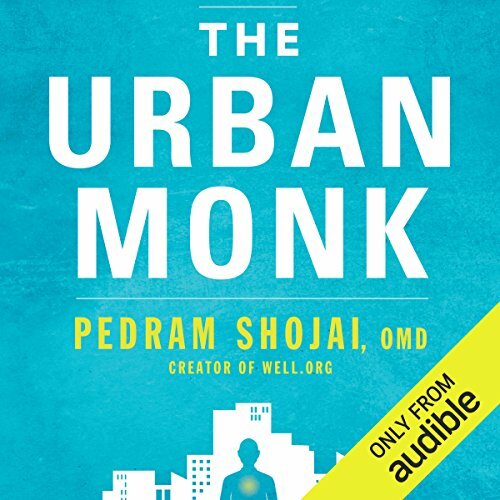 The Urban Monk, a New York Times best seller, reveals the secrets to finding an open heart, sharp mind, and grounded sense of well-being, even in the most demanding circumstances. Shojai's no-nonsense life mastery program brings together clear tools and exercises that can elevate your existence. Learn to honor your body with nutrition and shake free from addictions to toxic substances and experiences. Let your body and mind unwind each day with evening meditations, loosening exercises, and resting rituals that will keep any stress or unfinished business out of the bedroom, helping you sleep better so that your body can rejuvenate. The Urban Monk is filled with priceless practices that you can use in your daily life, right here and now. It is designed to be your companion in this crazy world we live in. Take it with you on your journey to becoming an Urban Monk. There's no need to move or drastically change your current life. You can find peace within, and The Urban Monk will teach you how to calm the chaos in your head. The world needs you to step up and live your life to the fullest. 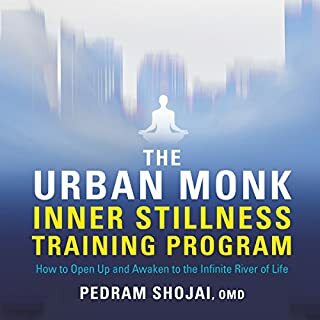 Pedram Shojai is the Urban Monk who can show you how to drink from infinity, find peace and prosperity, and thrive in a modern world. ©2016 Pedram Shojai (P)2016 Audible, Inc. The tips offered are common knowledge for anyone who are willing to spend an hour or two looking on internet, including meditation, remedies, etc. The book sounded more like a major promotion for author's business. How you do one thing, is how you do everything... Uh-oh...! I can be a coffee-guzzling spaz who zones out when I have time to relax. Can I be different? Yes, thank heavens, I now know I can. "The Urban Monk" is a step-by-step practical guide to self-discovery and peace of body and of mind. 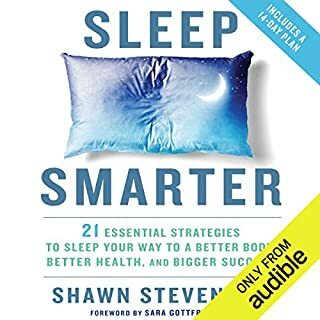 Here's what's covered: Stress, The Art of Mastering Time, Energy, Sleep (and deprivation), Stagnant Lifestyle, Weight Gain and Negative Self-Image (which is a big one for me >sigh< ), Lack of Connection with Nature, Loneliness Even in a Crowd, Never Enough Money, and (YAY!) Living a Life with PURPOSE! What I like is that there's all this positive philosophy which has you thinking, "Yeh, yeh, yeh. But that's not applicable in the real world. I don't have those options;" and then Shojai has a specific case of a specific person, all of which you can relate with, and, son of a gun, there is help; there are options. Like, sometimes exercise is great, stress-relieving, right? But if you listen to your body, maybe you're doing the wrong kind of movement. The book is filled with a million things like that. Plus meditations (and I had to start with the most basic: Scanning your thoughts... because, really, I have a plethora of hamsters running around in my brain when I try to meditate), to media fasts, to herbs to have on hand, to, yes: Skipping on the Caffeine. Also, that time you're stuck in line behind that person with all the coupons? Great time for yourself, for your breathing, for your questioning of life and its wonders. 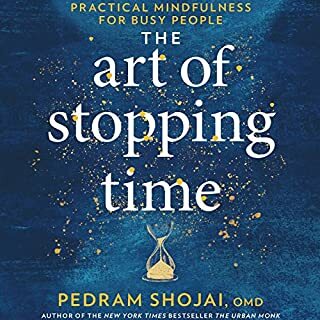 This is a wonderful little book that you can listen to again and again (but I was disappointed that Resources are referred to but Audible doesn't have any PDF files to go with it), with Shojai as an earnest and enthusiastic narrator. Yes, he does use some minor swearing (Hence the "Urban"? ), but that just made things more authentic to my lifestyle (and by no means do I swear like a sailor, I assure you). Worth the price, worth the time, worth the rest of your life...! every thing that he states that is wrong with our society is one hundred percent correct. however he spends to much time explaining and focusing on the problem. And not enough time focusing on the solution. I personally now the problem. and try to live in the solution. but it's very difficult. When most of the world is spiritual sick. we need more solution in this book. I get the feeling listening to this that self-confidence replaces real insight. This is spiritual and lifestyle thinking 101. The Urban Monk swears a lot. 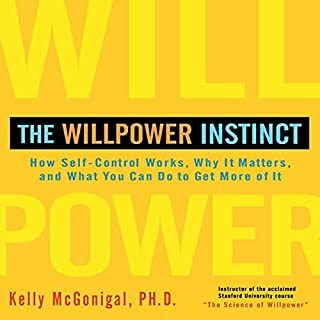 I really enjoyed this book and found many great topics for myself and some I can share with my patients. I do however think the author should curb his cuss words. I am the first to use them in various situations but in a book like this? It just seemed incongruous and quite tacky. There was a lot of it. The author should realize that his readers are not only millennial who might find this cool, but I can assure him, it wasn't. Pedram, you don't need to swear to emphasize your points. You are obviously very articulate and have an abundance of valuable information but I think you can take your writing to another level by omitting the poor word choices. What would have made The Urban Monk better? The author clearly has some biases against modern medicine, lifestyle and conveniences that don't mesh with 'the way of the ancients'. I can understand having a preference for what you find valuable in life, but insinuating how big pharma is in cahoots to destroy and enslave us is pretty ridiculous. There was a lot of questionable recommendations in the book, like how modern shoes prevent us from sharing electrons with the earth, so you should spend time walking barefoot. Also a lot of comments about restoring / maximizing your vitality. Its a vague goal that is difficult to track and measure but sounds enticing. What could Pedram Shojai have done to make this a more enjoyable book for you? Use some science to back up the claims to make it more credible. I listened to 'The Big Picture' immediately before this one and the two are basically on opposite ends of the spectrum in terms of credibility. I also find that most respectable Buddhist-style mindsets are open to having the theories challenged, so that they can either be improved or you can find truth for yourself, but this book feels more like "do as the ancients did because ancient lives were better." What aspect of Pedram Shojai’s performance would you have changed? The performance was alright, I appreciate it when the author reads their own material. It will appeal to a certain demographic who already follow suit with the same train of thought (i.e. if you want to reinforce your pre-existing beliefs, this will be another nod). One redeeming quality - its not a long book. I could only get through about 3/4 of the book before I had to end it, just couldn't get through it all and take it seriously. on the plus side, the author limits the no of examples from biz / his personal life focusing on the advice itself. this resulted in a reasonably inspiring book. Worst Buddhist teaching I have ever encountered. This teacher appears to have a tremendously inflated ego. Not someone I care to follow. The book starts with simple and tried advice "Drink less caffeine, eat more soups and sleep more" to THIS COMMON CHINESE HERB HAS ANTI-CANCER SECRET BIG PHARMA DOES NOT WANT YOU TO KNOW in a heartbeat. Snake Oils salesman are a dime a dozen, saying the western world is filled with consumerism and then saying you should visit their website and buy the new life package for $49.99, but when you ourtright say a chinese herb can help prevent cancer, that's just dangerous. 4 star performance because he knows his snake oil pitch, but has to cus' every 3 words, something that really takes out of the "inner peace" mindset he's trying to sell. I bought this book in both book form and audiobook form after seeing Pedram Shojai in several Documentaries. His depth and breadth of knowledge is amazing. He reads his own book and has a warm, soothing voice which made it feel like listening to a friend tell stories. The first chapter or two were stiffer than the later chapters. It took me a chapter or two to get used to the layout of the book. 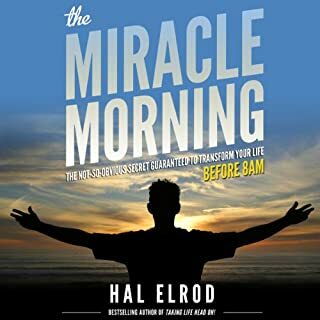 He structured the chapters with case studies, then a variety of health and life style changes, and finally goes back to how the patient implemented and succeeded with the changes. There is so much info in this book that I'm glad I own the hard copy too so I can use it as a reference to make the changes.